Choosing a financial planner may be one of the most important decisions you may make for yourself and for your loved ones. 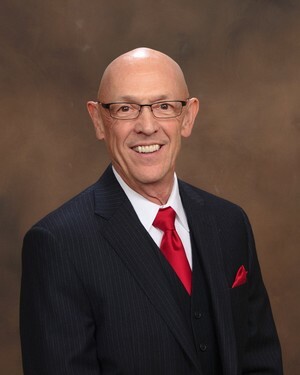 Gary is a Managing Member of Phoenix Financial Group, Ltd. and Phoenix Tax Planning LLC. His credentials include FINRA series 6, 7, 24, 63, and 65 through Woodbury Financial Services (WFS). His relationship with WFS provides Gary access to a wealth of resources, which enable him to customize each financial plan to fit any situation. One of the popular resources is providing clients with 24 hour online access to view their account positions and balances. CERTIFIED FINANCIAL PLANNER™ Practitioner: Gary has completed a comprehensive course of study through the College for Financial Planning. To maintain the CFP® certification Gary must complete a minimum of 30 hours of continuing education every two years and commit to the CFP® Board's strict Code of Ethics and Practice Standards. Accredited Investment Fiduciary®: Gary earned the AIF® Designation from the Center for Fiduciary Studies. The AIF designation certifies that he has specialized knowledge of fiduciary standards of care and their application to the investment management process. This designation also requires continuing education and strict adherence to the AIF Code of Ethics & Conduct Standards. As an active member of the Financial Planning Association (FPA) Gary serves on the Speakers Bureau which provides CFP® expertise for the Arizona Republic and on the NBC, KPNX Channel 12 financial phone banks. To better serve his clients Gary has also achieved Enrolled Agent (EA) status. Enrolled agents are the only federally licensed tax practitioners and they have unlimited rights to represent taxpayers before the IRS. An EA is required to perform 30 hours of continuing education every year with six of those hours devoted to ethics. Gary resides in Glendale, Arizona with his wife, Laurel. They have been married since 1971 and have five children, seven grandchildren and seven great-grandchildren. He served his country in the United States Marine Corps, including a tour of duty in Vietnam. Gary and Laurel are members of The Gideon's International and their local church. Gary is a runner and he is â€˜always' training for the next Marathon and he hopes to qualify to run the Boston Marathon. CFP, CERTIFIED FINANCIAL PLANNER are certification marks owned by the Certified Financial Planner Board of Standards, Inc. These marks are awarded to individuals who successfully completed the CFP Board's initial and ongoing certification requirements.